Bill Gross, once the bond market's most influential investor, will retire from Janus Henderson Group Plc in coming weeks, ending attempts to reclaim the stature he enjoyed leading the world's largest fixed-income investing firm. Gross, who turned to investing after serving as US naval officer, co-founded Pacific Investment Management Co in 1971, attaining rock-star status in investing circles as he attracted hundreds of billions of dollars in assets. Under his watch, Pimco blossomed into a $2 trillion asset-management powerhouse, one so influential that the US Federal Reserve tapped it to help implement its program of emergency bond purchases in the financial crisis in 2008. At Janus, however, Gross was unable to repeat his earlier success, with the performance of the fund he managed ranking near the bottom. Gross told Reuters on Friday that low rates are distorting returns. His tenure at Pimco ended abruptly and acrimoniously in September 2014, when he was ousted. His flagship Total Return Fund - which hit a peak of $292.9 billion in assets in April 2013 - was hemorrhaging assets. At the end of April 2015, the Pimco Total Return Fund had lost its title as the world's biggest bond mutual fund to the Vanguard Total Bond Market Index Fund, which had $117.3 billion of assets. "You have to give Bill a lot of credit because he was the prime mover, popularizing active management," Dan Fuss, vice chairman at Loomis, Sayles & Co LP, and one of Gross' biggest competitors, said in a telephone interview. "I had hoped he'd be out and about and stay in the business because I know he would have wound up doing a good job." "I've had a wonderful ride for over 40 years in my career - trying at all times to put client interests first while inventing and reinventing active bond management along the way," Gross said in the news release. Gross, whose net worth Forbes magazine said on Monday has declined to $1.5 billion from $2.5 billion as recently as June 2018, endured a rocky four years of performance at Janus. 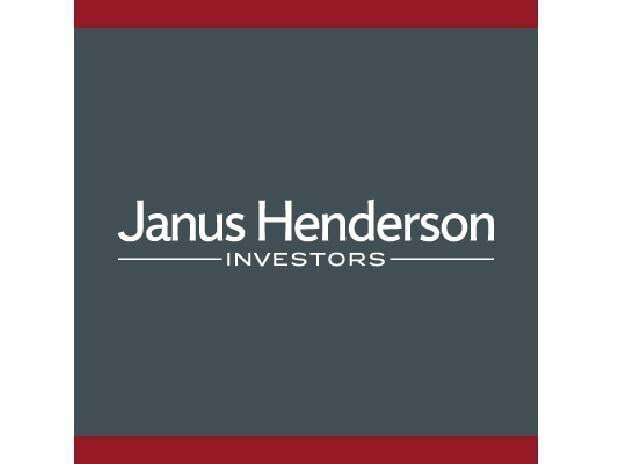 Shares of the $950 million Janus Henderson Global Unconstrained Bond Fund, managed by Gross, gained just 0.3 percent per year since the fund was launched, according to Lipper. Over three years, it ranks behind more than 90 percent of its peers, Lipper said. Gross' barely positive performance in the years since he struck out on his own underscore how much more competitive the markets have become and the difficulty of navigating in the years since the 2007-2009 global financial crisis. The market environment changed abruptly when the Federal Reserve and other central banks globally responded to the financial crisis by buying government bonds and other assets to stimulate the economy. The Fed still has nearly $4 trillion in such assets. Gross said in April 2013 that the Fed's aggressive monetary policies may have changed the landscape so greatly that investors like him faced new challenges in trying to maintain their track records. Since the early 1970s when bonds began their "incredible, liquefying, total return journey to the present day, an investor that took marginal risk, levered it wisely and was conveniently sheltered from periodic bouts of deleveraging or asset withdrawals could, and in some cases, was rewarded with the crown of 'greatness.'" Gross conceded to at least one "bad trade" during his tenure at Janus, betting that German and US government bond yields would move closer together. And his assertions that bonds were now in a bear market ran against continued demand for safe assets and easy monetary policy that kept rates low. "Interest rates in much of the developed world are distorting and limiting future returns below historical expectations," Gross said in an email to Reuters on Friday. Going forward, he said, policymakers could be gradual in their efforts to maintain growth and stabilize inflation or there could be a "populist momentum that seeks to redistribute existing wealth and future incomes." Jeffrey Gundlach, anointed as Wall Street's new "Bond King" in recent years, told Reuters in 2014 that when discussing their potential legacies, Gross spun an analogy to National Basketball Association star players Kobe Bryant and the younger LeBron James. "I am Kobe. You are LeBron James," Gross told Gundlach. "I have five rings, you have two rings - probably going to five," a reference to the number of NBA championships the two players had each won. Bryant retired from the NBA in 2016 after winning five championships; James had won three as of 2018.